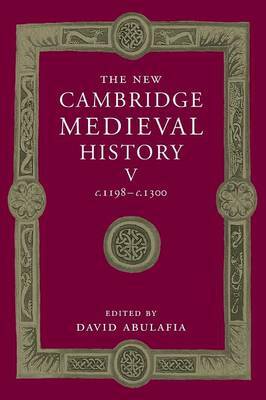 The fifth volume of The New Cambridge Medieval History brings together studies of the political, religious, social and economic history of the whole of Europe and of the Mediterranean world between about 1198 and 1300. Comprehensive coverage of the developments in western Europe is balanced by attention to the east of Europe, including the Byzantine world, and the Islamic lands in Spain, north Africa and the Levant. Thematic articles look at the fine arts, the vernacular, communications and other aspects of a period in which the frontiers of Latin Christendom were expanding vigorously outwards; and attention is paid to the frontier societies that emerged in Spain, the Baltic and the Mediterranean islands.